The critical goal of Wetland Action is to ensure the long-term contribution of wetlands to rural livelihoods. This involves taking a functional landscape approach in order to ensure the sustained flow of water into the wetlands and preventing the development of gulleys and erosion in the wetlands. Avoiding excessive pressures from single use and encouraging the multiple use of wetlands helps achieve this with a balance achieved in wetland ecosystem services – both provisioning and regulatory. 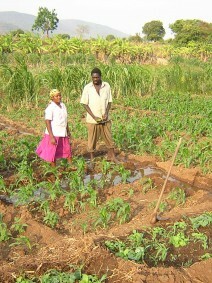 It is also socially equitable – the wide range of wetland benefits are shared among different members of the community.